The books, movies, television shows, and other stories and studies on which I most relied when exploring time travel. The same list appears in the book, but here I’ll be adding a few notes and elaborations from time to time. 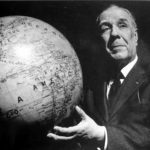 A list of true “sources” for Time Travel might start to look like Borges’s Library of Babel. At some point everything starts to be at least a little time-travelish, or timey-wimey. So this is a peculiar sort of bibliography. But others are lurking, let’s say, in the background. I may not actually mention Alan Lightman’s Einstein Dreams, but it was often on my mind: a brilliant set of variations on the possibilities of altered time. 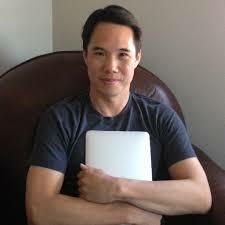 My thinking about free will and determinism was shaped—altered—by Ted Chiang’s remarkable “Story of Your Life.” And so on. Critics, philosophers, and historians, too, have tackled these deep questions in ways that influenced me. These works stand the test of time. Not a time-travel book at all, really. Just a fable that got people thinking about higher (and lower) dimensions. “Pirate Planet” (episode of Doctor Who, 1978). The Restaurant at the End of the Universe (1980). Sleeping into the future is one way to get there. The End of Eternity (1955). A Journey in Other Worlds (1894). A God in Ruins (2014). Marcel Aymé deserves to be much better known. 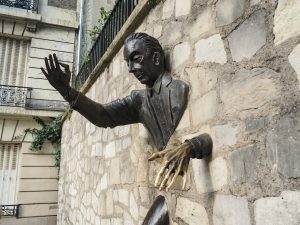 Marcel Aymé walking through a wall in Montmartre, Paris. English-speaking readers can start with this collection, which includes “La Décret,” the darkly fantastic, ineffably poignant story I write about in Chapter Four. It is set (and was written) in German-occupied France. The narrator becomes an accidental time traveler. And so have we all. It became obvious that the notion of time, as our ancestors had transmitted it down the millennia, was in fact absurd claptrap. What a wicked sense of humor had Max Beerbohm. I won’t give away the story (I do spoil it in the book), in which the devil enables our hapless time traveler to make an unwelcome discovery about himself. 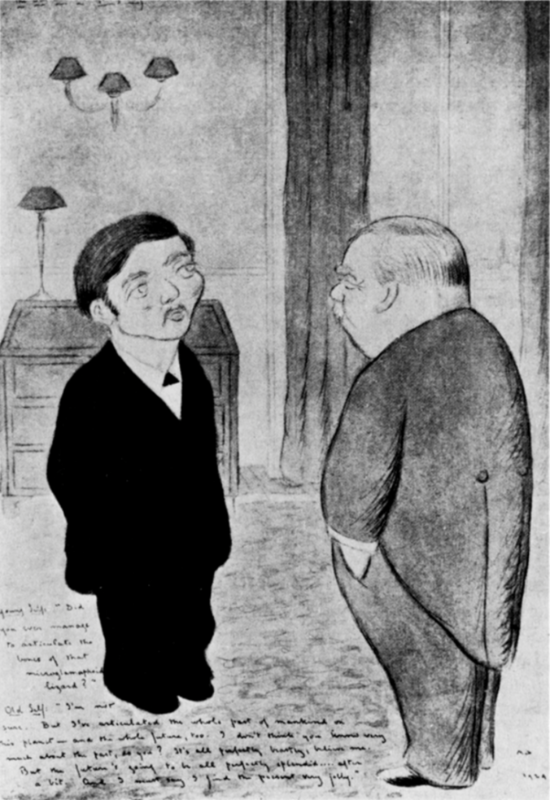 Instead, here is a Beerbohm drawing of H. G. Wells meeting himself. “The Men Who Murdered Mohammed” (1958). No Enemy but Time (1982). El jardín de senderos que se bifurcan (1941). 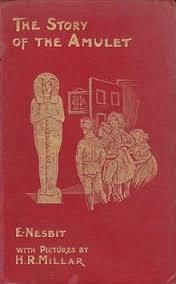 Nueva refutación del tiempo (1947). “A Sound of Thunder” (1952). You've heard of the Butterfly Effect? Embedded in the mud, glistening green and gold and black, was a butterfly, very beautiful and very dead. ‘Not a little thing like that! Not a butterfly!’ cried Eckels. “Story of Your Life,” (1998). The Girl in the Golden Atom (1922). “A Little Something for Us Tempunauts,” (1974). The House on the Strand (1969). “The City on the Edge of Forever” (Star Trek) (1967). “The Face in the Photo,” (1962). “The Curious Case of Benjamin Button,” (1922). “The Region of Unlikeliness,” (2008). Ralph 124C 41+: A Romance of the Year 2660 (1925). The Man Who Folded Himself (1973). “The Reason Is with Us,” (1958). Time for the Stars (1956). A Sense of the Past (1917). “Commentaire pour servir à la construction pratique de la machine à explorer le temps,” (1899). The Lathe of Heaven (1971). Hardly a book of time travel. More a book of dreams. We also have been variously disturbed. Concepts cross in mist. Perception is difficult. Volcanoes emit fire. Help is offered: refusably. Snakebite serum is not prescribed for all. Before following directions leading in wrong directions, auxiliary forces may be summoned. A small masterpiece. 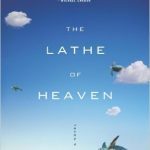 Le Guin asks us to stretch our imagination, our sense of what is and what might be, in a unique direction. She does not make matters easy for the reader. She draws us no diagrams. We must drift in her currents and listen carefully. The music changes. The weather changes. A Fisherman of the Inland Sea (1994). Memoirs Found in a Bathtub (1961). 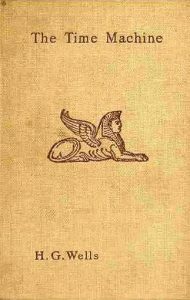 Memoirs of the Twentieth Century (1733). 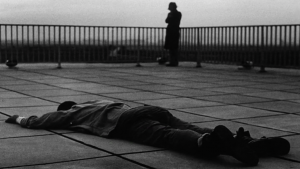 I want to call La jetée the greatest time-travel movie ever made. Yet it’s a bit obscure—rare and hard to find. It’s black-and-white, and short (28 minutes), and barely a movie at all. Its creator, Chris Marker (not his real name) called it a (in French) “un photo-roman,” a photo-novel. Mainly it is composed of still photos. But not entirely, and beware, the exception can make your heart stop. 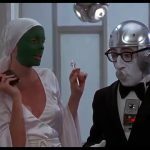 I write about this movie at some length in the book and won’t say more here. Golf in the Year 2000, or, What Are We Coming To (1892). L’An deux mille quatre cent quarante, rêve s’il en fût jamais (1771). “The Clock That Went Backward,” (1881). The Story of the Amulet (1906). E. Nesbit—her gender-free authorial name—was the first English writer to explore the new possibilities of time travel by hurling her child heroes into the past. The Time Traveler’s Wife (2003). “The Power of Words,” (1845). “Mellonta Tauta: On Board Balloon ‘Skylark,’ April 1 (2848),” (1849). À la recherche du temps perdu (1913–27). The Plot against America (2004). How to Be Both (2014). The Portage to Cristobal of A.H. (1981). A Connecticut Yankee in King Arthur’s Court (1899). Paris au XXe siècle (1863). The night came like the turning out of a lamp, and in another moment came to- morrow. The laboratory grew faint and hazy, then fainter and ever fainter. To-morrow night came black, then day again, night again, day again, faster and faster still. The first novel of a striving writer in Victorian England. He received £100 for it. The golden age of sci-fi book jackets was still to come. “Tour de force of ghastly imaginings,” wrote one reviewer, while another sniffed, “We have some difficulty in discerning the exact utility of such excursions into futurity.” By now The Time Machine is one of those books you feel you must have read at some point, whether or not you actually did. One way or another, the inventions of H. G. Wells color every time-travel story that followed. When you write about time travel, you either pay homage to The Time Machine or dodge its shadow. 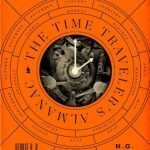 Many anthologies of time-travel stories have been assembled over the years, reflecting changes in fashion as well as the varied tastes and interests of the collectors. These five are my favorites. 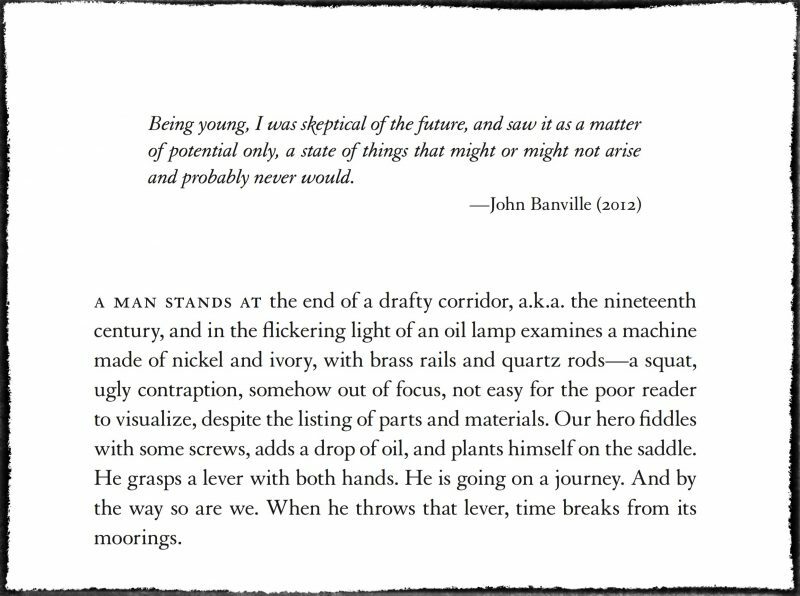 The Mammoth Book of Time Travel SF (2013). The Best Time Travel Stories of the Twentieth Century. The Time Traveler’s Almanac (2013). No matter how many time-travel stories you choose as favorites, you’re going to omit someone’s. There’s no perfect anthology; every one is different, depending on goals, taste, and mood. But if I had to take one to the desert island, it would be Ann and Jeff Vandermeer’s collection: a biblical tome, eclectic and wide-ranging, beautifully edited and gorgeously published. Ann is a Hugo-award winning editor, and Jeff is the author of the Southern Reach trilogy, and they include a valuable set of original essays about time travel. Origins of Futuristic Fiction (1987). New Maps of Hell (1960). The Future of Nostalgia (2001). The Physicist and the Philosopher (2015). ‘The time of the universe’ discovered by Einstein and ‘the time of our lives’ associated with Bergson spiraled down dangerously conflicting paths, splitting the century into two cultures. An original and highly creative historian of science charts the very different stories—intersecting once, in a moment of high drama—of two iconic thinkers about time, Albert Einstein and Henri Bergson. It seems that one was highly influential while the other has mostly faded from view. But they are both essential to the story of time and time travel. Canales shows how each illuminates the other. From Eternity to Here (2010). The Seven Beauties of Science Fiction (2008). How to Build a Time Machine (2001). An Experiment with Time (1927). made a sensation in certain literary circles of the 20s and 30s. J. B. Priestly, J. R. R. Tolkien, and T. S. Eliot were all influenced by it. 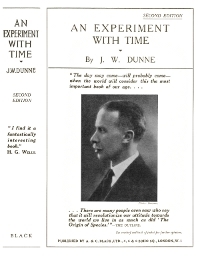 Dunne was an Irish-born aeronautical engineer and an admirer of H. G. Wells (who nonetheless disavowed his theories). Building on his own experience of uncanny “precognitive” dreams, the future intruding on his sleeping mind, he constructs a whole theory of time, including, incidentally, “the first scientific argument for human immortality.” Of course it’s all utterly crackpot, but it’s fun, and it’s still in print. The Nature of the Physical World (1928). ed., The Voices of Time (1966) (1981). Einstein’s Clocks, Poincaré’s Maps: Empires of Time (2004). The Problem of Time (1929). Time and Western Man (1928). The Labyrinth of Time (2005). A Treatise on Time and Space (1973). The Tyranny of Time (Notre Maître le Temps) (1924). 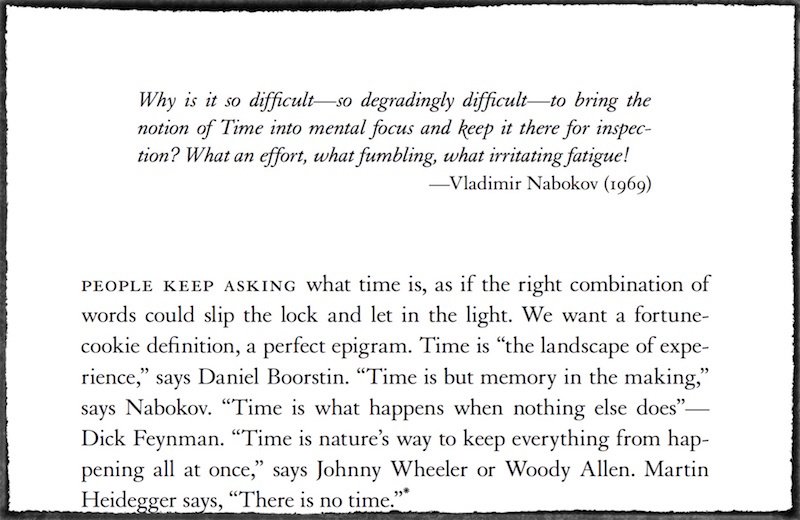 Time: A Traveler’s Guide (1998). Time and Narrative (Temps et Récit) (1984). The Discovery of Time (1965). The Singular Universe and the Reality of Time (2014). 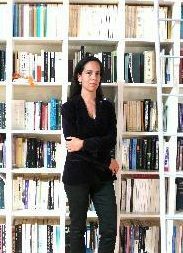 Fate, Time, and Language (2010). Worlds Enough and Time (2002). Time Travel: The Popular Philosophy of Narrative (2013).